EXCLUSIVE! 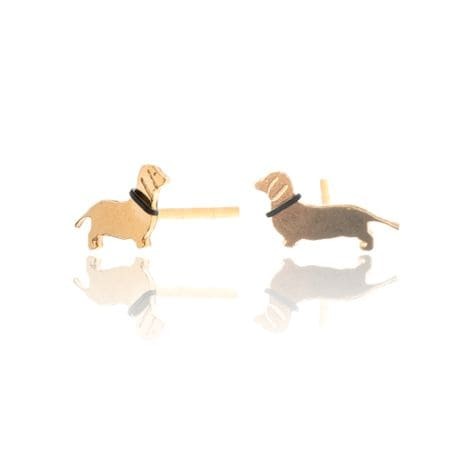 Display your love of dachshunds with these 22k gold over silver with a ruthenium collar. Lightweight post earrings have a lovely polished finish; pups are 1/4"x 1/8". Designed and crafted in the UK.